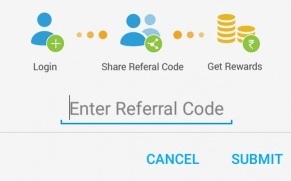 This post details about the Pitcrew App referral program. 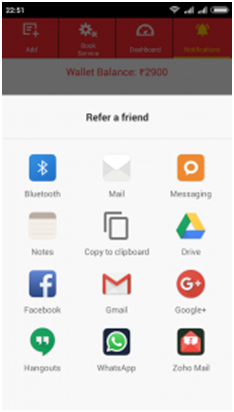 The current update of the Pitcrew App has a comprehensive referral program built in. The program’s objective is to reward customers who promote and refer the Pitcrew app to their network. Earn Rs. 100 in your Pitcrew Wallet when someone uses your referral code to download the Pitcrew Car Service App. The User downloading the app is rewarded with Rs. 100 Pitcrew Wallet balance. So For Example Sachin and Vijay are two friends and Sachin has the Pitcrew App on his smartphone. Sachin refers Vijay to Pitcrew and Vijay uses the Referral code that Sachin has to download the App. Any Balance in Pitcrew Wallet is automatically applied as discount for the services availed at the time of App Checkout. Also note that a user can only use the wallet balance when making a booking through the App. Referring friends to Pitcrew is simple. In case the user has any additional Coupon Codes which are applied, the above limits apply for the overall discount as well. Coupon discounts always take a priority over the Pitcrew wallet balance so that the customer gets maximum value and savings still keeping money in tact in the wallet. 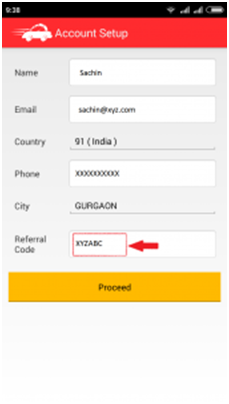 This entry was posted in Offers and tagged car garage, car mechanic, garage, pitcrew car service, pitcrew car service gurgaon, pitcrew coupon, pitcrew offer, Pitcrew refer, refer, Referral Program, shocker, suspension, suspension noise. Bookmark the permalink.